State-of-the-art MiroCam is the first capsule endoscopy system with E-Field Propagation; a patented technology utilising the human body as a communication medium. 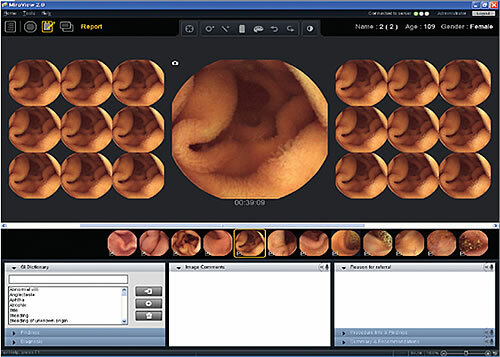 This innovative approach results in the highest image resolution and longest operation time, enabling more accurate diagnosis of the entire small bowel and beyond. 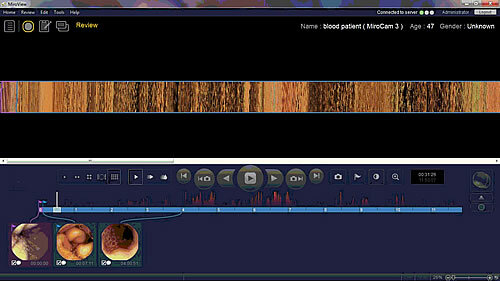 The simple and easy to use MiroView software has a wide range of features including positioning markers, automatic detection of bleeding, a reference library and an advanced report generator. There is no need to use a dedicated workstation and there is even a laptop version, MiroView Express, which allows the videos to be reviewed at any location. 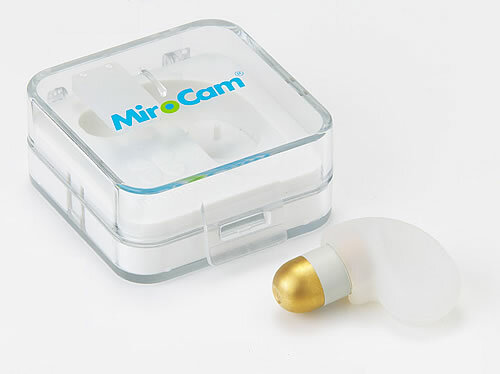 MiroCam Navi- the world’s first controllable video capsule! Highest Resolution: MiroCam captures and delivers the highest quality images with a resolution of 102,400 pixels (320x 320 pixel image resolution). Optimised imaging is provided through automatic brightness control while 6 white LED lights enable clearest image quality. 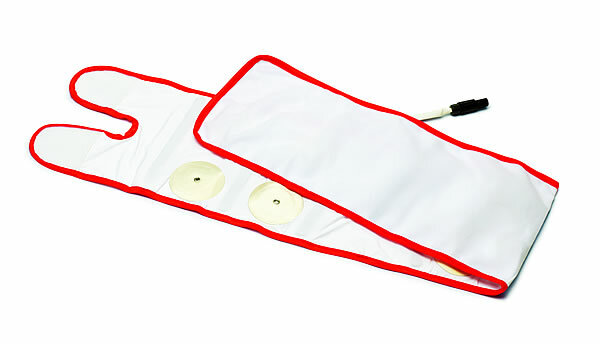 Longer Operation & More Accurate Diagnosis: With an operating time of more than 11 hours the MiroCam capsule provides images from the oesophagus to the colon ensuring that the capsule reaches the end of the small bowel. 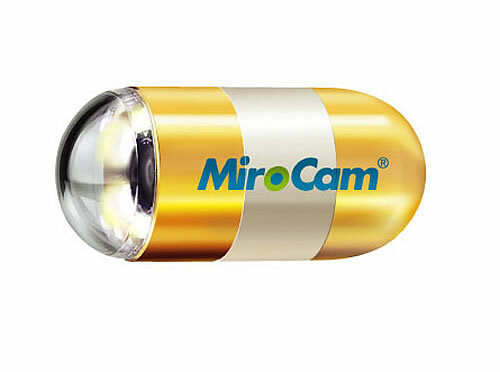 Highest Frame Rate: MiroCam capsule captures images at 3 frames per second. At least 118,800 images are obtained (over 11 hours). 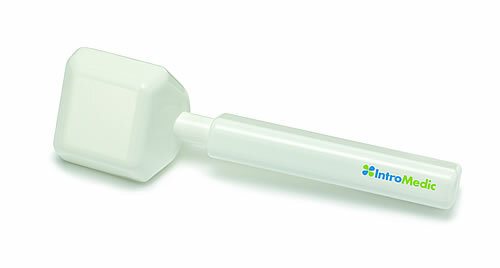 Smallest Capsule Size: At a tiny 11x 24mm the capsule is the smallest available and can be easily swallowed. 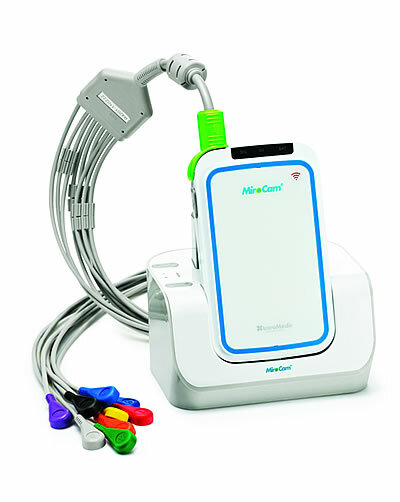 The MiroCam receiver is light and compact and uses a disposable sensor belt, comfortable for patients and convenient for clinicians. Real-time Monitor for the rapid determination of the capsule's position. 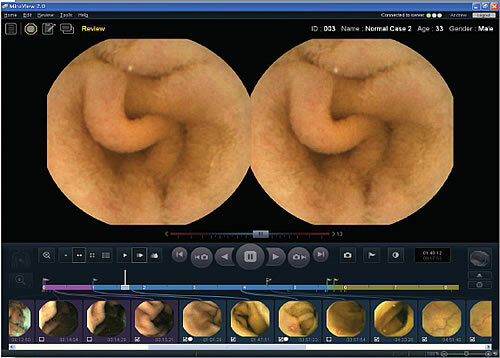 Wide Field of View: The MiroCam’s High precision lens system offers a wide field of view of 170 degrees thereby capturing more detail for a more complete diagnosis. 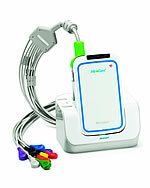 TO ORDER THIS PRODUCT, or "REQUEST A DEMO" or need MORE INFORMATION"